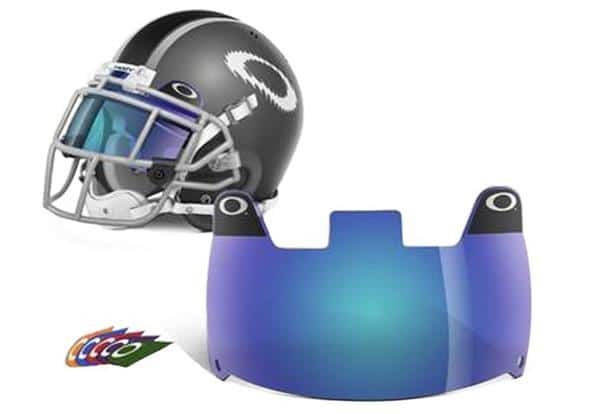 Introducing Oakley, Inc., one of the leading sports equipment companies in the world that have been designing and manufacturing sports gears since 1975. This California-based company is known to be a holder of more than 600 patents. Its main goal is to provide equipment to world-class athletes around the globe so that they can be at their best during their game. This renowned corporation has created various sports gears such as football visors and these are incorporated with state-of-the-art features. These include the High Definition Optics which always comes in sun and prescription eyewear and goggles. You can choose a lot of eye-shield models but this model is one of the best they’ve come up so far. It comes in an Oakley Plutonite feature which is known as a proprietary synthetic that vitalizes durability and excellent protection to the eyes. One of the many concerns of athletes is the shield distortion which kind of loses their focus. 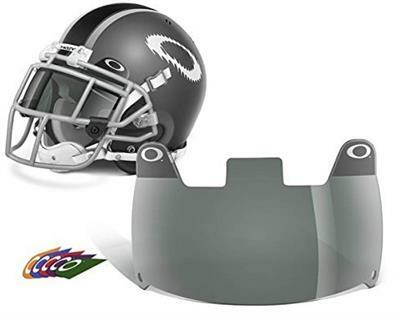 This equipment eliminates it thanks to its Oakley high definition optics. 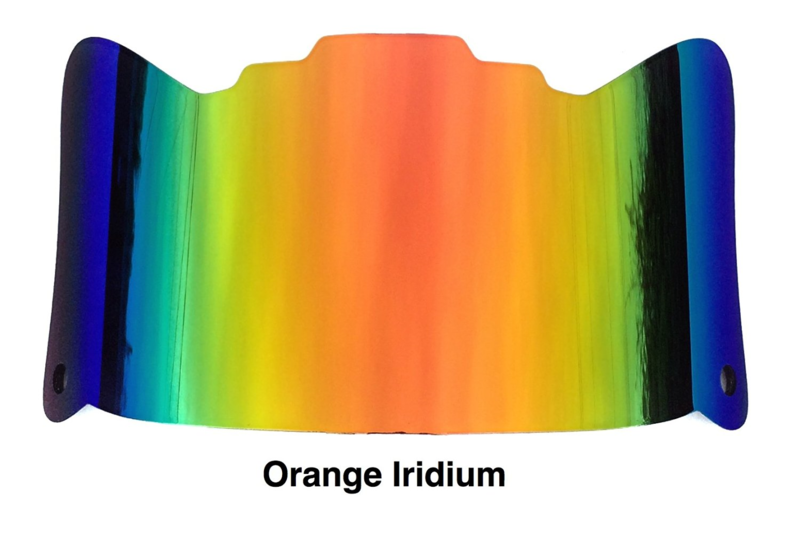 Another thing to take note about this visor is its ability to block 100% of all UVA, UVB, UVC, and any other blue light up to 400nm that is considered damaging to the eyes. This eyewear also boasts lens that removes fog and resists scratching. You can’t be distracted with those things so this trait is really a huge advantage. You can even appreciate it more because it keeps its visual clarity on-point, and we’re talking about all the angles even at the sides. Less assured that your peripheral view is clearer. This product comes with one size or 60% gray for you to choose. This item includes the clips and everything you need to attach it to the helmet. This model has the same features with the unit above. But its look is much different because of its youthful color, blue. 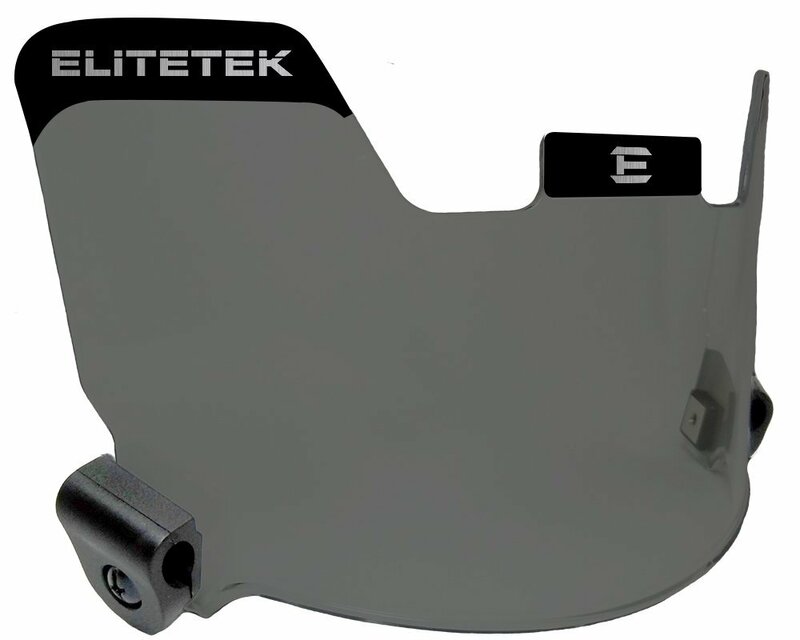 Its High Definition Optics is also one of its traits that make it a good candidate if you are looking for a visor that completes the qualities that you are looking for. 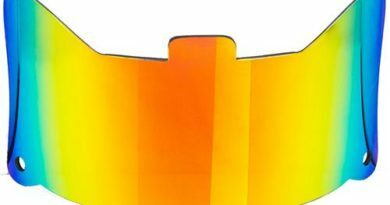 Better vision at all angles, protection from scratches and fogs, and a high-level of protection to your eyes, it is already considered a visor package. Not to mention that it’s also durable like the rest of the models. According to the seller, this blue eye shield is not a mirrored eye shield, it is see-through. Like the previous models above, this visor consists of an Oakley plutonite that boasts long-lasting qualities and better eye protection. Its difference lies in the fact that it has a gray color which looks minimalistic and cool to the eyes. In fact, it is made up of 45% gray tint which is at its middle part. You won’t have to think about shield distortion when wearing this gear because it also has high definition optics. It also reassures you that it can dodge UVA and other harmful blue lights. And even if you’re in the middle of a game, your focus remains because of better visual quality in the field thanks to its unique curvature characteristic. Therefore, if you have sensitive eyes, it is an ideal visor for you. I found these traits more than satisfying for a $60.00 product. Apart from its promising qualities, these products are easy to install and use. 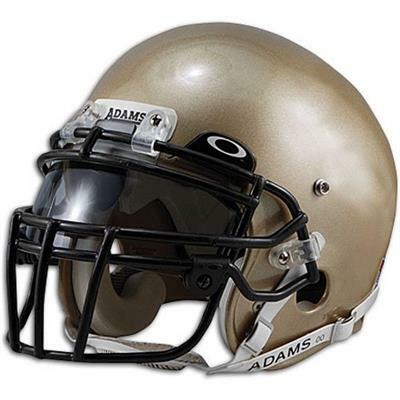 Plus, the fact that many football players make these their number 1 choice of eye-shields, then it pretty much seals the deal. For other football gear, click here!